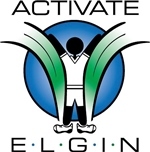 Activate Elgin is a city-wide initiative to engage all sectors of the community to work in harmony providing all residents with opportunities to improve their health, well-being and overall quality of life. Activate Elgin began in 2006. We partner with community groups in a wide variety of health promotions and activities including the creation of educational health materials, wellness projects within Elgin schools, Healthy Kid’s Day, and Walk with the Mayor. Another initiative we undertook was to provide support for 35 mini-grants to various community organizations and businesses to help create programs and services to make Elgin a healthier community. Our signature event is March into Health, a month-long offering of events, activities and educational sessions put on by our partner organizations – all focused on helping our local residents adopt healthier lifestyles.